A Short Film for World AIDS Day has Arrived. Watch It Now. “Sing Your Song” puts power into the hands of people living with HIV and demonstrates the value of networks. Stop what you’re doing. An exhilarating new short film produced especially for people living with HIV (PLHIV) is about to grab your heart and make you stand up and cheer. 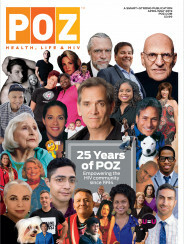 “PLHIV networks are as important today as they were in the earliest days of the epidemic,” said Robert Suttle, Sero’s Assistant Director. “Networks are where we can ask questions of our peers, learn how and find the strength to disclose our HIV status when appropriate and build the self-empowerment critical to our survival.” Sero and other PLHIV networks are urging AIDS service organizations, policy leaders and others to highlight the important role of PLHIV networks during his year’s World AIDS Day commemorations. The film was shot this fall at the “We, the Positive” summit in Jackson, Mississippi, produced by the Mississippi Positive Network and My Brother’s Keeper (an HIV and healthcare service provider). Sing Your Song is a project that grew out of Sero’s Network Empowerment Project, which provides a toolkit to PLHIV who are involved with networks or interested in starting a network. To access the toolkit, or to find a PLHIV network in your area, go to Network Empowerment Project.